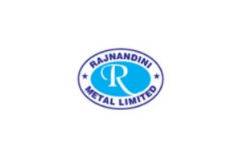 Rajnandini Metal IPO overview - Rajnandini Metal is in the business of trading of scrap of all types of ferrous and Non ferrous Metals such as Copper Wires, ingot scrap, and other related items used in various electrical and industrial applications. The company works as a crucial business interface, networking between manufacturers / processors / yards and consumers / traders across the country. Its product portfolio offers a diversified product range which includes variety of grades, thickness, widths and standards of all types of ferrous and Non ferrous Metals according to customer specifications. Rajnandini Metal IPO allotment status is now available on Bigshare Services' website. Click on this link to get allotment status.